LOSE WEIGHT WHILE TRAINING YOUR BODY TO BURN FAT! From June 21 to August 17, 2018, CBN brings you Year 2 of its FREE 8-week Shape Up Weight Loss Challenge to help get you into your best summer shape! 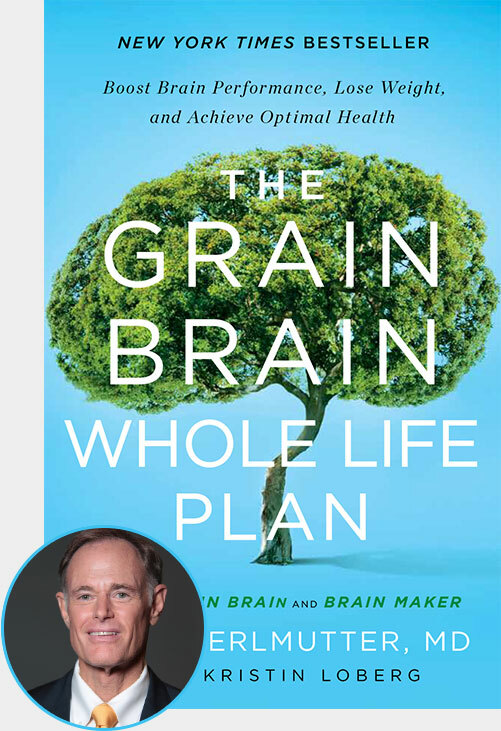 In partnership with New York Times bestselling author and neurologist Dr. David Perlmutter, and based on his book The Grain Brain Whole Life Plan — you'll join over 1 million others who have benefited from the Grain Brain way! The chance to win FREE copies of The Grain Brain Whole Life Plan each week. Exercise videos, blogs and more! Over 1 million people before you have already discovered and benefited from the Grain Brain philosophy. “It’s been fifteen months since I made a forever change to my diet and lifestyle by converting to a low-carb, gluten-free, high-fat diet. From a starting point of a fleshy 225 lbs, I am now down to 198 lbs and loving it!… For the first time in a long time, I was happy to look at myself in the mirror after a shower — heck at 48 years young I look better than I did when went to the gym 2 hours a day when I was 20!” — Pat L.
Join over 1 million others who are experiencing the benefits of the Grain Brain lifestyle! Improve mental clarity and lose weight — and you could win special prizes!